Duration: between 7 & 21 days. Duration: between 10 & 30 days. Turkana is Kenya’s 2nd largest county as well as its poorest. The region is classified as arid / semi arid with average daily temperatures between 30 - 45C and an average rainfall of between 150 & 350mm, making it one of the driest. In June 2017 the Barefoot team were sub-contracted to implement a series of dryland permaculture sites and will be opening our gates to interested individuals from March 2018. Soil enhancement through organic soil amendments, composting, mulching, green manure, and minimal till farming. Our team consists of a diverse group of 100% originals. Work alongside Sven & Ivan - the founders of Barefoot Soulutions, Jess, Jackson & Anthony as well as a battalion of men and woman from the neighbouring community. 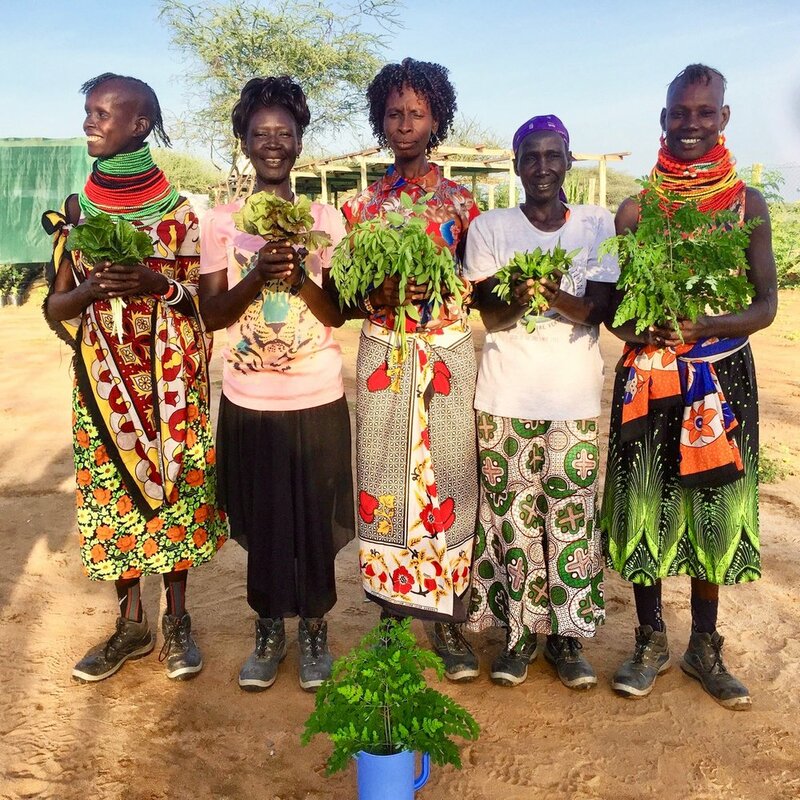 On this site, everyone pitches in; Anthony is our tree nursery manager - master grafter and lover of reggae; Janet and our 6 women were born a few hundred meters down the road and have the full lowdown on this region and her people. If the above interests you, follow the link below and download the information PDF to learn more. If you are ready for an apprenticeship experience of a lifetime, follow the button below to fill out the application form. Once we have reviewed your application we will get back to you shortly.